POSTED: Tue, 02/23/2016 - 17:00 | POSTED BY: Traci C.
Despite the fact that Shanghai Disney is half a world away the new resort's budget woes and construction delays are reportedly having a negative impact on Disney's domestic theme parks on both coasts. According to several reports, Disney World is cutting hours for some of its cast members. 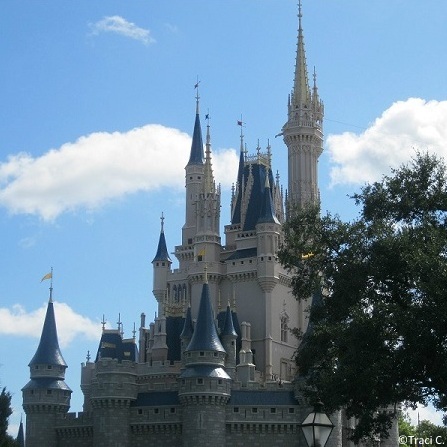 These cuts come just before the start of the busy Spring Break travel season and might affect travel plans for guests visiting the theme parks in the next several months. While there is no official word on what cast members might be affected by the reduction in hours, there are concerns that the affected employees may be guest relations, entertainment, and concierge cast members. Other changes that may or may not be related to the reduction in hours include a change of character meet-and-greets at Epcot. Winnie the Pooh and Friends are no longer in the United Kingdom pavilion and Princess Aurora has left France. Guests can still meet Princess Aurora at Akershus in Epcot's Norway pavilion provided they have plans to dine with the princesses, but they'll have to travel to the Magic Kingdom to meet Pooh. However, there is hope when it comes to character meet-and-greets in Epcot. Anna and Elsa are coming back to Norway this summer, and Baymax recently starting meeting guests in Future World at the Character Spot. And two new meet-and-greets are opening at Disney's Hollywood Studios. But, over at the Magic Kingdom, the Main Street Electric Parade will only run once per night in March according to the Disney Parks website. Disney says the company "regularly make[s] adjustments" in their operations in order to provide guests with great experiences. The company has also said any cuts are not a response to the delay in Shanghai. The best advice when traveling to the Walt Disney World Resort is to always check the times guides at the parks. Show times, character meet-and-greets, and attractions are bound to change with little to no warning. We also recommend using the online check-in prior to your arrival at your Walt Disney World Resort hotel. Also, pack your patience as it is likely you're going to need it. Are you concerned with any potential disruptions to guest experiences at the Walt Disney World Resort due to these reductions? Let us know in the comments. We have been to Disney at least 10 times from Tx in the last 25 yrs. We have already notice year after year that the friendly service of the employees has went down allot. Talking to some of the employees over the years has answered the questions why. Same as most job I guess. Lowering pay, benefits. Really sad considering how big Disney is and how much they charge. But yes we keep going back because we can understand their feelings. ( and keep hoping it will change back) But I have to to several people I have to say my husband talks with people from all over the USA that went once and said never again because all the things they heard about the TLC of Disney wasn't there like they heard and prices are crazy. I believe you get what you give Disney. Go back to carrying more about quality of service and making Employees love there jobs so they can show it and be there when quest need them. Example ( last year our friends met us there to have a reunion. Their flight came in at around 6 Pm, they rode the Disney bus from airport. Then they had to stay up until after 1 Am for the luggage to make it to their room) Wasn't a good start for a relaxing first trip. We have been to Disney World at least 30 times and yes, the service difference is very noticeable. But, keep in mind that the world is a changing place and those differences are felt and seen everywhere. Disney has never disappointed us and we will continue to go there. My wife and I will go there 2-3 times a year. Most times we will stay at a discounted resort and just visit the other resorts for lunch or dinner. We enjoy walking the grounds and looking for new things. On occasion we will pick up a park ticket and see what's new. When people say that Disney is expensive, I comment that going to a movie today is just as high. For the admission to a park, you get 10-12 hours of enjoyment and shouldn't that be special.